When you are in a bad mood, you usually care less about anything else but yourself. The littlest things can cause you to erupt or to close down, both in the extremes. It is not something to joke about. These emotions may be chemically induced in your brain. They can be associated with the food you eat. For a variety of bad moods that you have, there are foods you need to avoid and foods that you can eat to ease these mood swings. If you feel down to start your day, grabbing some breakfast will sometimes help. You do not even have to cook breakfast, just grab on to a bowl of cereal. Studies indicate that having a bowl of cereal for breakfast can help feeling better overall to start your day. Its role in promoting good digestion may be one possible reason. When you are feeling some anger, a cup of green tea may help keep you relaxed. 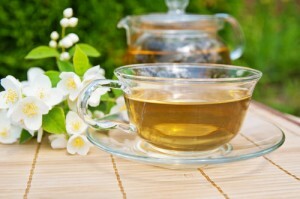 Green tea contains an antioxidant called EGCG or epigallocatechin gallate. This compound is found to have a calming effect on people. A study has shown that patients who took a dose of EGCG rated their feelings as calmer and more relaxed as compared to people who took a placebo. If you feel a bit sluggish during the afternoon at work, you may need a pick-me-upper for a snack. The best choice would be a fiber and protein snack or meal. It will help provide you with an energy boost on a slower yet steadier rate. Try to avoid sweets and other snacks that contain simple carbs and sugars. They can provide a quick blood sugar spike but also tend to go down just as fast. You will end up feeling even more sluggish once the effects wear off. What’s more, a fiber and protein snack can make you feel full longer, preventing you from eating more that you should for the day. When you are feeling as if you are doing everything wrong and nothing seems to go right, then you might easily head towards the fridge and feast on some ice cream for solace. You might even consider having a bag of chips for some comfort. While they might be some feel good snacks, it would be a mistake. What you will end up feeling is more guilty that you have indulged in something that you shouldn’t have. You sometimes end up feeling a sense of defeat that you tend to overeat. Try to avoid reaching out for food when you feel this way again. You will be easily prone to overeat if you do not avoid some of those unhealthy comfort foods.